Aug 17, 2018 (LBO) – SriLankan Airlines said they introduced a series of measures to mitigate inconvenience to its passengers from the closure of Cochin International Airport due to flooding. 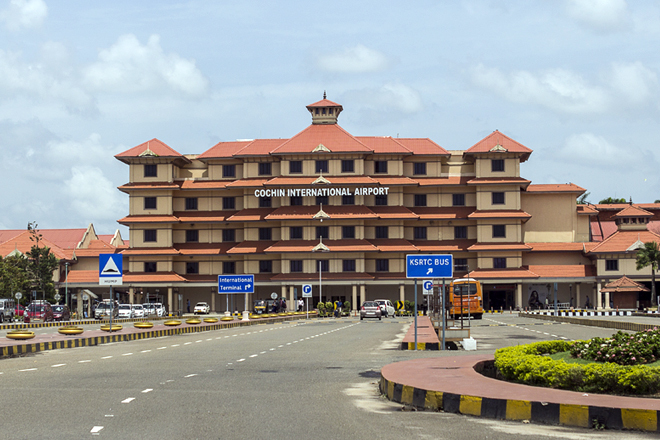 On Thursday Cochin Airport authorities announced that they were extending the airport’s closure until 26th August. “SriLankan is offering passengers booked to travel from Cochin to Colombo and onward destinations, the option of departing from Trivandrum or any other destination in South India served by SriLankan, at no extra charge,” the airline said. The airline said passengers who were awaiting flights when the airport was closed down on August 15 were provided hotel accommodation and those who agreed were rerouted to Trivandrum. SriLankan Airlines added that it will resume regular services to Cochin as soon as the airport is reopened. Passengers flying between Cochin and Colombo are requested to contact SriLankan Airlines on the following numbers.